This is perfect. This is 100% Perfect. I need this movie in my life NOW. Drew from A Fistful Of Films recently commented on my previous post, saying that he thinks this film is too small and dark to be an Oscar contender. Well, first of all, “From the best-selling novel comes a motion picture event.” Yeah, this isn’t small. And as for dark, while there is a lot of dark stuff in this story, the film looks like it’s going to be focused mainly on the Jack/Ma relationship, which is where the true heart of the story lies. While the trailer does give away that Jack and Ma eventually escape Room, I don’t really mind that much, since half of the story is about their adjustment to the outside world. Brie Larson looks amazing, as predicted. And Jacob Tremblay – he looks so incredible. 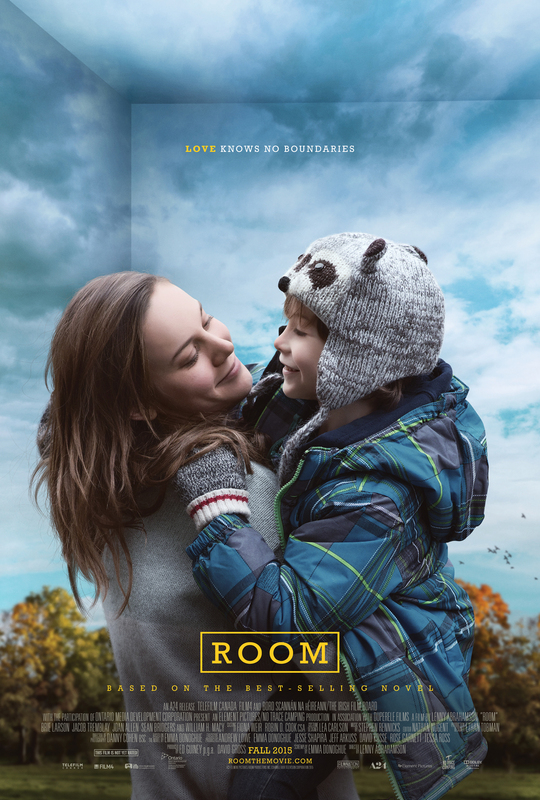 The cinematography, the direction, and even the design of Room itself are all spot-on. So to all of you out there who are underestimating this film, now might be a good time to change your mind. Now, if you’ll excuse me, I’m off to watch this trailer on repeat. I hope you’re right, buddy. I really loved this book and so I’m nervous about how it will translate on film but am hoping to check it out at TIFF and be blown away by it – I do think it has the potential to be the little movie that could.